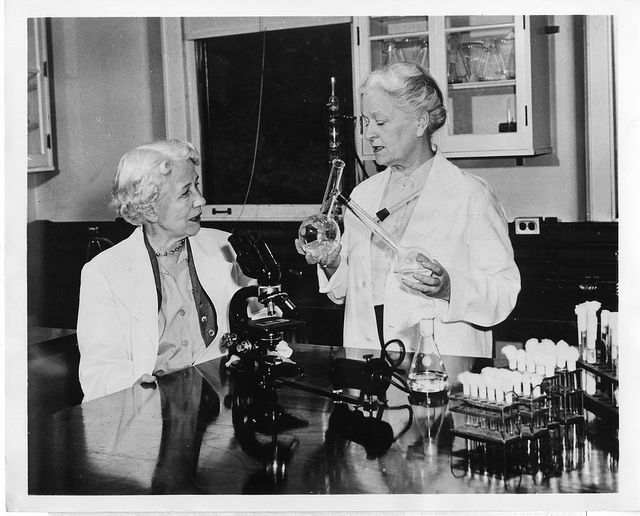 In 1950, Elizabeth Lee Hazen and Rachel Brown developed an anti-fungal agent for yeast infections. This photograph was distributed in 1955 when Hazen and Brown were awarded the first Sqibb Award for their achievements in chemotherapy (Smithsonian Institute collection). For additional reading about Hazen and Brown’s achievements, see the Chemical Heritage Foundation website. 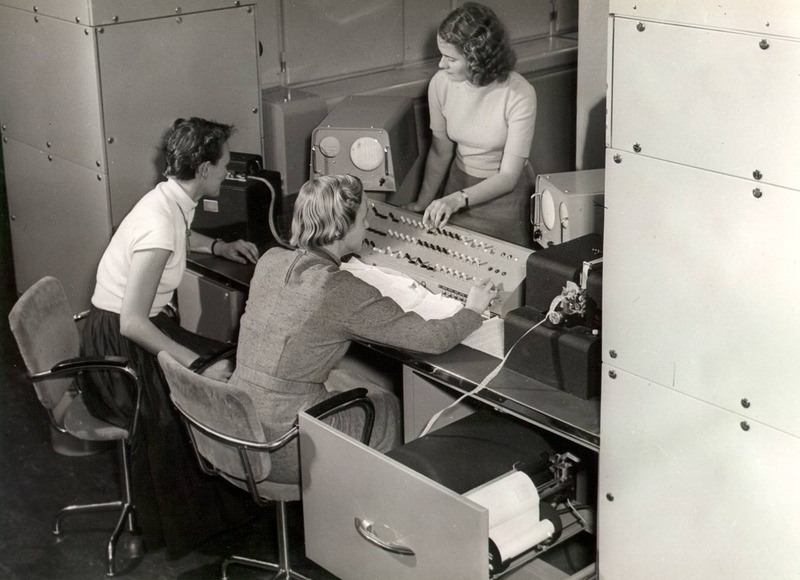 Keypunch operators were in high demand in the 1950s and were generally women. 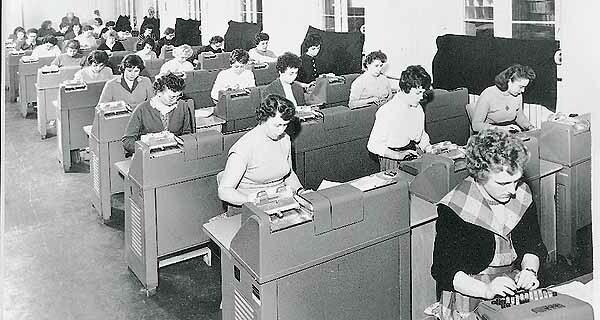 They worked full time in keypunch departments that had dozens, sometimes hundreds, of operators (Heinz Nixdorf Museums). 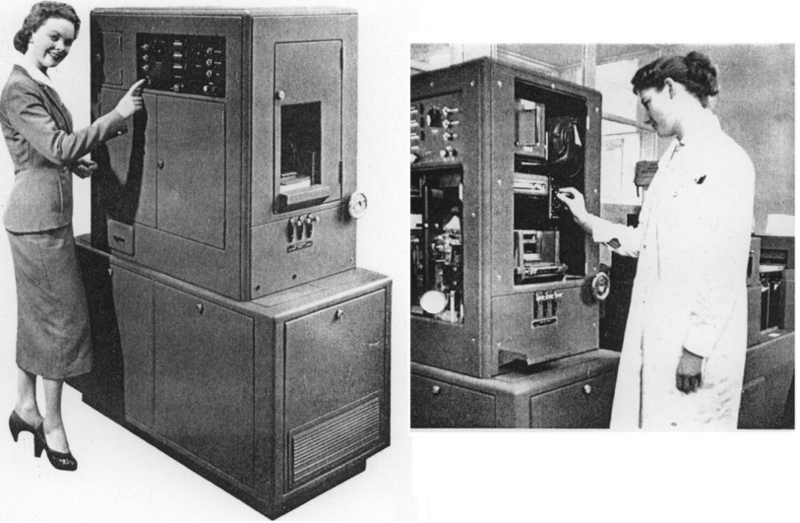 For more information on keypunch machines, see the Columbia University website on computing history. Starting in the 1880s, women started to replace men as switchboard operators because companies found women to be more courteous to callers (and it was much cheaper to hire women). 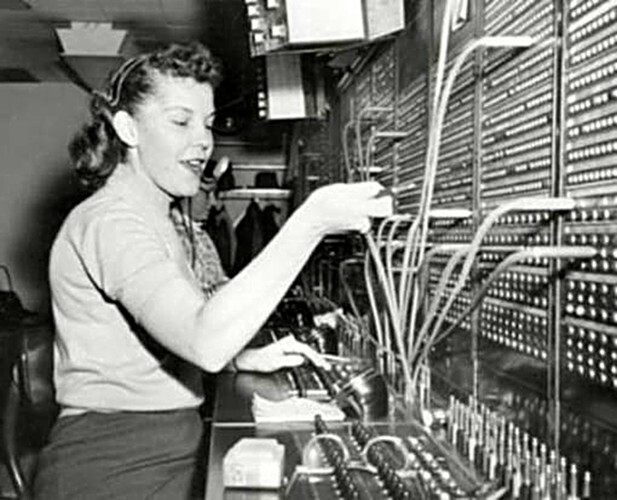 By the 1950s, the pervasive image of switchboard operators was that they were young, attractive, and female (Merchandise Mart). 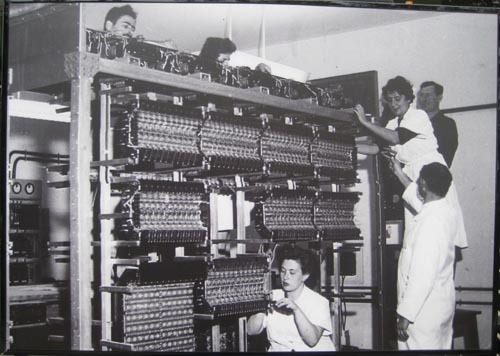 For more information on switchboard operators, see the Gigaom Research blog on the switchboard. IMB’s 1950s recruiting brochure which was targeted at women. In 1956, they appointed Jeannette Kittredge Watson as the first female member of the Board of Directors (IMB). 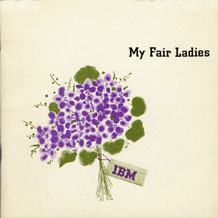 For more information about women at IBM in the 1950s, see IBM’s Women in Technology 1950s timeline. 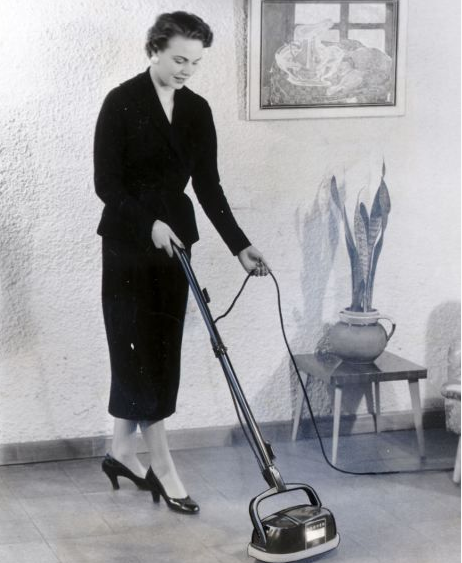 TV ownership expanded in the 1950s and programs were developed to tailor to housewives (Time and Life Picture). For more information on women and TV in the 1950s, see the Guardian’s article on the TV watching habits of housewives in the 1950s. 1. After years of struggle during World War II, the 1950s were an exciting time not only because the servicemen returned home, but due to the technological advancements. Many were married and established their households which resulted in women typically fulfilling the roles of housewives. Even though technology was increasing during this time, women’s main interaction with it was for household purposes such as chores. 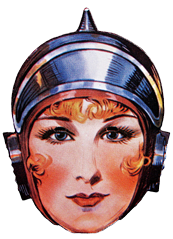 The picture above picture depicts a woman advertising home appliances in the 1950s. The photo is courtesy of SSPL/Getty Images. A key quote that encompasses the expectation of women at the time reads, “During the 1950s, the role of women was generally considered to be that of the ‘homemaker’. 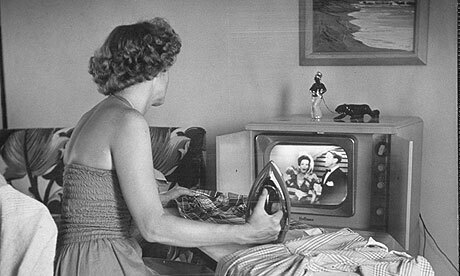 Bright television and magazine advertisements encouraged women to stay at home and create a domestic haven for their families using the new appliances on offer.” To read an analysis of this quote and learn more about the stereotypical female role in the 1950s, see the article that discusses a decade of change. 2. One home appliance that has remained a key necessity over the years is the washing machine. 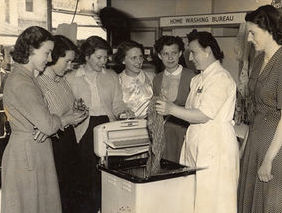 In the picture above, women watch a demonstration of the latest in washing technology circa 1950.
Credit for this photo goes to Express, UK. For more information, see a report on the Persil washing detergent by Express News. 3. A keypunch is a device for punching holes into stiff paper cards determined by the keys struck by a human operator. 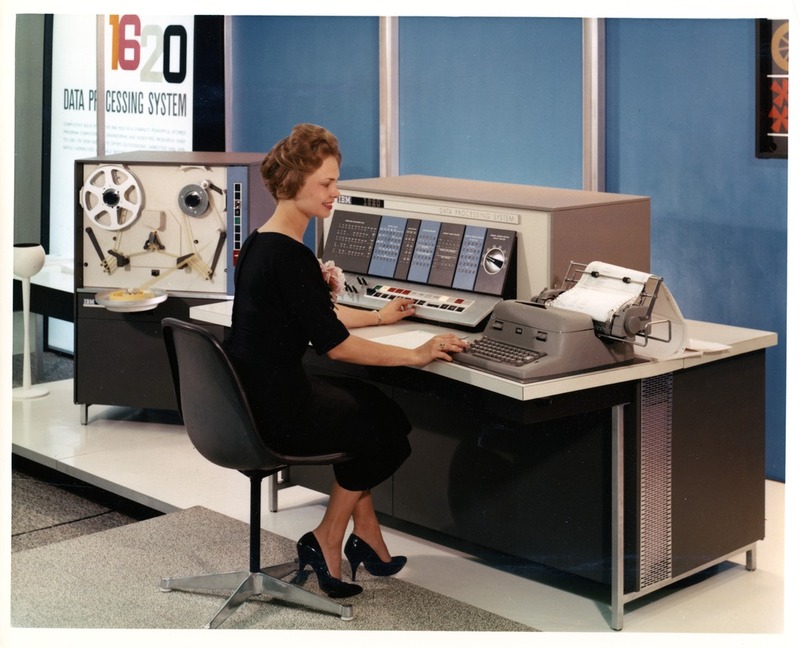 During the 1950s, this was the primary method for business data processing and many women had this job. 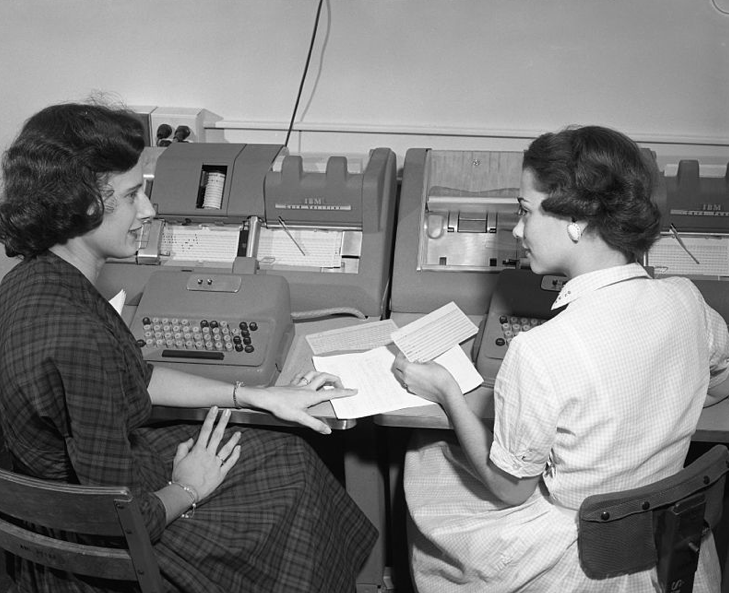 The photo above shows two women discussing their work while entering data onto punched cards at Texas A&M in the 1950s. This photo is courtesy of Cushing Memorial Library Archives, Texas A&M. For additional information on keypunch, read this excerpt from the world-information website. 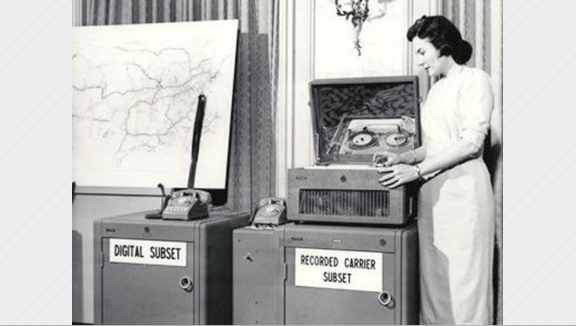 Here is a photo of a woman with the first commercial modem – the AT&T Dataphone. The photo is courtesy of AT&T Archives and History Center. For more information on this modem as well as other technological inventions during the 50s, please see this article from tech radar. 5. 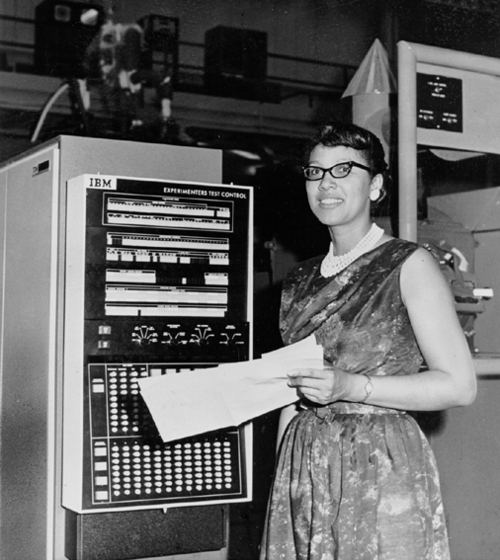 Despite these many advances, women were not typically given an opportunity to obtain the technical jobs. If they were not maintaining a household or being considered for secretarial work, they were viewed as a way to help with advertisement for these new technologies. An example of this is the use of women workers in Britain for early advertising. 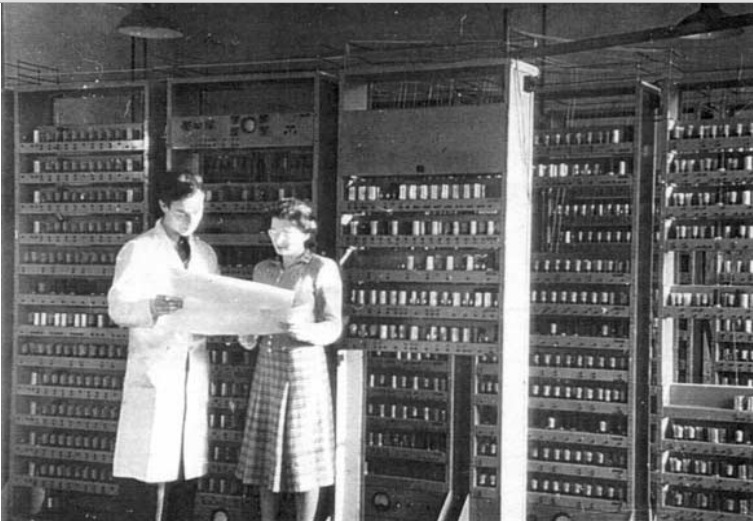 On the left on the photo above is an advertisement while the photo on the right shows a real female employee operating the Electronic Multiplying Punch (Emp) at LaPorte Industries. Both photos appeared in the Powers-Samas Magazine in the 1957 and 1958 issues. To read information on the contrasting representation of women in advertisements versus their role in reality, please see Marie Hick’s blog post. In conclusion, even though it was relief to see an end to Would War II, the 1950s still had its fair share of obstacles for women and their relation with technology. Luckily, we have seen some improvements since then and can keep learning from this history as time progresses.